There are various effective ways of marketing, some are usually costlier than others. At times, some of the cheaper alternatives ends up giving better results than the other paid marketing strategies. For developers of applications, marketing remains an uphill task because for every app built by them, there are usually tens to hundreds of such apps that could even be better than theirs available in the market. To keep up with the competition, it is important to section or map out strategies to effectively help in capturing a large portion of the market. Now, this is one area where the developers of the eSteem range of apps get it right. Users are interested in seeing new interesting features added to what they already have and it is your job as a developer to do just that. eSteem has been quite gracious in rolling out updates with beneficial features for its users. In this article, we shall look at some of the updates recently carried out on the eSteem Surfer in the last few months. Hopefully, we will be able to pinpoint a few important features that would be useful for current as well as intending users of the dApp. 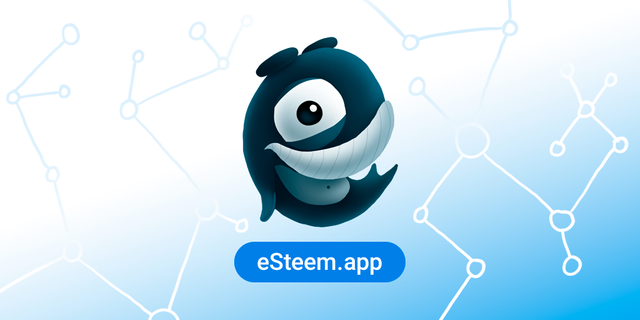 The eSteem Surfer is a desktop app built by the eSteem team for users who prefer to blog on or access the Steem blockchain through their desktop or personal computers. 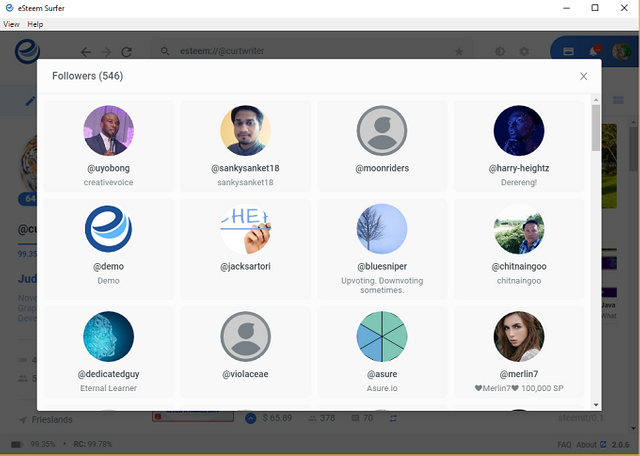 That is to say that if you have a desktop or laptop gadget, the eSteem Surfer is the dedicated app built for you through which you can blog on the Steem blockchain without the need to pass through any third party browsers. Whether your device runs on the Mac, Windows or Linux operating system, you can use the eSteem Surfer app. All functions accessible on the Steem blockchain are equally accessible here and even much more. Surf through loads of blog posts, read comments, reply to comments and upvote users – all these can be done from the eSteem Surfer. We shall now take a look at the eSteem Surfer and the latest upgrades and versions it has. This will enable us know the recently added features and sensitize you on how to make the best out of these newly added features. The eSteem surfer 2.0.5 was released barely two months ago and came with a number of features – important ones for all users of the eSteem Surfer. So far, these new features has led to an improved experience and satisfaction in my course of using the app. I'll talk about each of these features now. Steem power is simply Steem that is locked up, allows you carry out certain transactions on the blockchain and grants you a certain stake on the blockchain depending on the amount you hold. It is also set up in such a way that allows users give or loan out part of their Steem power to others so that they can only carry out transactions and increase their stake. This process is known as delegation. Now, on this Steem Surfer app, the Steem power delegation feature has been implemented. 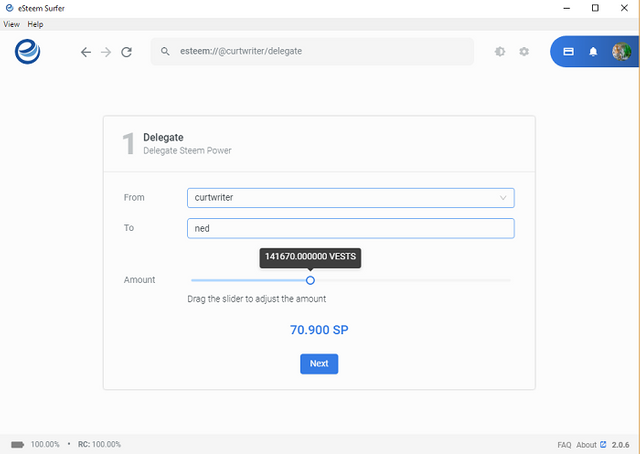 If you wish to delegate Steem power to a friend, family member or a decentralized app as support, you can easily do that now from the eSteem Surfer app on your desktop or laptop device. All you simply need to do is to navigate to the delegate section, fill all the necessary details and click the next button. Confirm your delegation and shortly, your delegated Steem power will be pushed to the recipient. If you wish to undelegate your Steem power, follow the same process and in the place for the amount, you will need to input 0 (zero). This resets your delegation and after a period of five days, your Steem power is returned to you. Ever been in a situation where you were reading through very long documents and needed to find a particular word? It is usually time consuming trying to look for a word manually in a sea of hundreds or thousands of other words. When using Microsoft Word, you’d simply need to click on the Ctrl + F buttons to search for the word (f stands for Find). 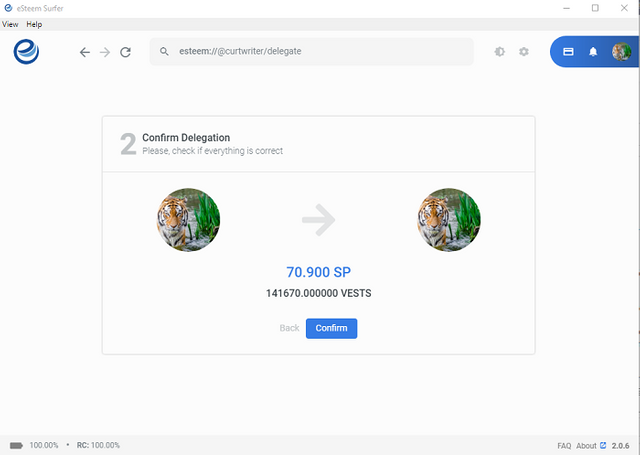 To make it easier for users, the team behind eSteem has added this feature to the eSteem surfer version 2.0.5 known as the in-page search. With the in-page search feature, all a user needs to do is to click on the Ctrl + F button and type in the word he or she is looking for in the tab provided. These words are automatically highlighted and if you have more than one of such instances of that word, there are buttons that would be helpful in navigating up or down to get to those words. This particular feature is available in virtually all sections of the eSteem Surfer. These are the two major features made available on the version 2.0.5 of the eSteem software. Let's now look at the next version of this eSteem Surfer app which is the eSteem surfer 2.0.6. The eSteem Surfer 2.0.6 is the yet another version of the eSteem surfer app that was released barely two month ago. This upgrade was released with more exciting features for users and potential users. It replaces the previous version, the eSteem surfer 2.0.5. There were a number of new features added in this version of the eSteem surfer, as well as improvements to the existing ones. We shall now look at each of these features. I think one thing I love about the eSteem surfer and their updates is their frequent languages additions and updates. 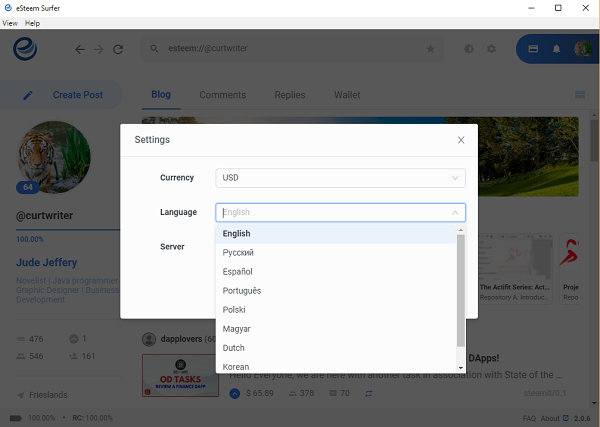 The Steem community comprises of people from all over the world, with different languages, and who may also not be very fluent in writing or reading English. But these people wish to use the platform. How do they get it done? The eSteem team has added a number of languages in this new version, and that is in addition to some already existing languages. Speakers and members of the community who have either Dutch, German or Korean as their mother tongues can now rejoice as they can easily switch the language from English to their preferred language and use the platform with ease. 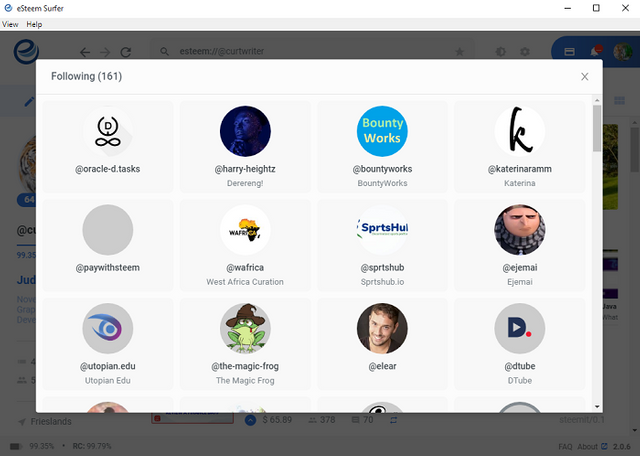 Just like with Twitter, Facebook and a number of other social media platforms, the Steem platform also allows members of its community to follow each other. If you have someone who you know, or like his or her posts, you can follow that person. Now, when you follow a user, every post made by that user appears in your feed. If someone else follows you, they equally see your blogs in their feed. The “Follow” feature was also made active in previous versions of the eSteem Surfer app. However, users could not see a list of those they were following or those who were following them. Now, in this version of eSteem Surfer, this feature has been included. When you visit your profile on the eSteem Surfer app, you’d see both your followers and following buttons by the left side of the page. Clicking on each button would reveal the names of those following you and those you are following respectively. Yet another important feature added in the eSteem Surfer version 2.0.6 is the effective power down amount. What this simply means is that when you initiate a power down of your Steem power, you are shown the amount you get every week until the power down is complete. This feature is important as it enables you know what you get and helps you plan accordingly. The eSteem team has so far done a good job with their eSteem surfer app, not to mention their recently revamped apps for Android and iOS devices. Since I began using the eSteem surfer, I have taken a liking to it and will continue to use it due to the wonderful features it has. I’m sure readers of this post and potential users will also take a liking to the eSteem Surfer when they download, install and begin using it on their devices. I hope to see you on the next episode of this series. Have a nice week ahead. I remain your amazing dApps presenter, @curtwriter. B. Other pictures were screenshots from my device. Thank you for your contribution. eSteem is a unique project. I have the eSteem Surfer on my device, and I always enjoy its useful features. I like that you started your review from the previous versions, but there is a new version 2.0.7, which was released four days ago. The latest version has more amazing features, which I would have loved to see a review about it. Nevertheless, the post is well done. I appreciate every information provided. The content is unique and editorial. However, the post had many grammars and style issues. I strongly urge you to work on your writing. There are many omissions, superfluous sentences, and wrong punctuations. If you wish, I would be happy to cite some issues in a follow-up comment. Plus, I would advise you to always paste your texts on Grammarly and Hemingway grammar checkers. I am so happy to see you contributing to the Blog category, and I would love to receive more contributions from you. Thanks for the great review @tykee. The current version 2.0.7 was released quite recently and after I had already concluded on this article. I will be working on an article for the new release but I have to test it out first. As for my grammar, I guess a lot of work still has to be done. Thank you once again. I upvoted your contribution because to my mind your post is at least 8 SBD worth and should receive 242 votes. It's now up to the lovely Steemit community to make this come true.